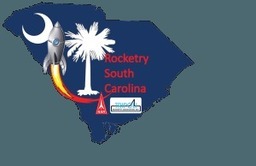 Welcome to Rocketry South Carolinas, the home of ICBM (Tripoli Rocketry Association Prefecture #60) and ROSCO (National Association of Rocketry Section #648). National Association of Rocketry (NAR) is an international, non-profit organization that is dedicated to all aspects of safe consumer sport rocketry, from small model rockets with youth groups to very large high power rockets with serious adult hobbyists. The NAR or ROSCO sport launches are sport/commercial only. Tripoli Rocketry Association (TRA) is an international, non-profit organization dedicated to the advancement and operation of amateur high power rocketry. TripoliSC or ICBM has two types of launches: research weekends and weekends that split between research and sport/commercial. Our two local clubs are made up of a group of knowledgeable and helpful rocketry enthusiasts who are happy to share their talents and assist those who are just beginning. The monthly launches consist of getting together with friends who share similar interests and having fun while advancing our rocketry research and experience. It is a family atmosphere which will have you feeling at home even if it is your first time on our field. "Rocketry South Carolina has been granted a 10,000' MSL (above mean sea level) CFA (controlled firing area) by the FAA. Our MAXIMUM FLIGHT ALTITUDE is 9,000' AGL (above ground level). Our MAXIMUM FLIGHT ALTITUDE is strictly enforced and any flight that is likely to exceed it will be barred. In consideration of the safety of everyone, we request that all flights which are expected to exceed 6,000' be equipped with a redundantly actuated recovery system. We strongly recommend that these multi-stage recovery systems (i.e. drogue/streamer and main) which are electronically actuated(i.e. via altimeter, timer, RC control, or any combination of the above)."